Shan grew up in Lafayette, California. She attended California Polytechnic State University at San Luis Obispo where she graduated with a BS Degree in Fashion Merchandising and Design. After graduation she worked in the SF Bay Area in the Fashion Merchandising industry until her next move into global marketing where she joined a start-up company called InsMark, an insurance marketing firm. There, Shan became the VP of Marketing working with Senior Executives at companies such as Guardian Life and Chubb Life America. Acquiring tremendous marketing experience, Shan followed her passion into the world of design joining Swimmer and Associates Interior Design. Here, she partnered with her mother Sara Swimmer where they worked as a very successful mother-daughter design team managing up to 20 projects at a time in the residential and healthcare marketplace. During that time, she also owned and operated Obvious Flair Accessories traveling abroad to procure one-of-a-kind home accessories and rare finds. Eventually, Shan moved to Southern California where she established her own Interior Design firm - Obvious Flair. She and her husband have 2 grown children and reside in San Juan Capistrano, CA. 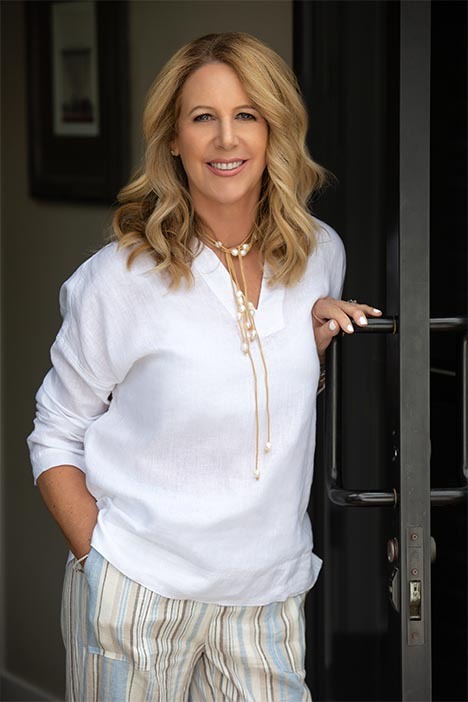 Shan’s main focus is Residential Design, but she has also managed many commercial projects including the 20,000 square foot Shea Center for Therapeutic Riding also located in San Juan Capistrano.